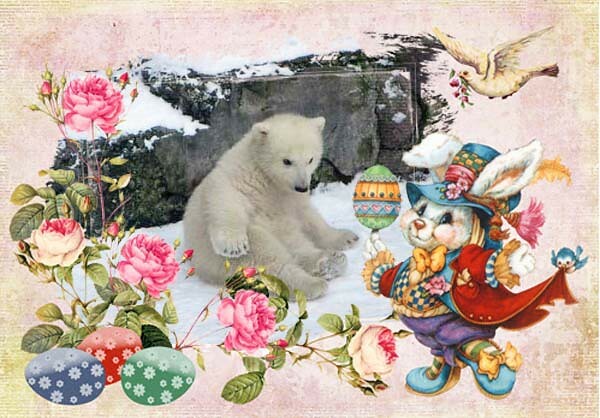 What would the Easter be without Easter cards from dear friends? I'm glad to share some of them with you. 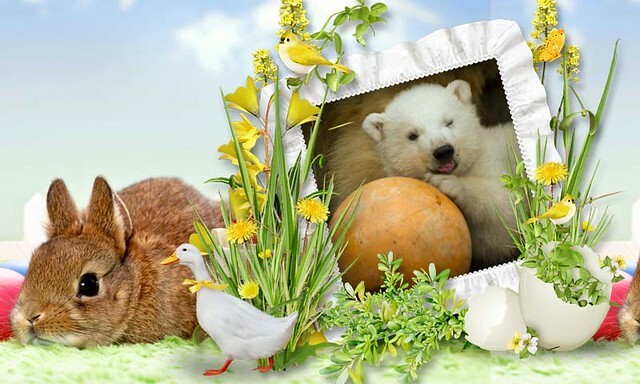 This year this holiday seems to be whiter than usual but baby bears don't care. 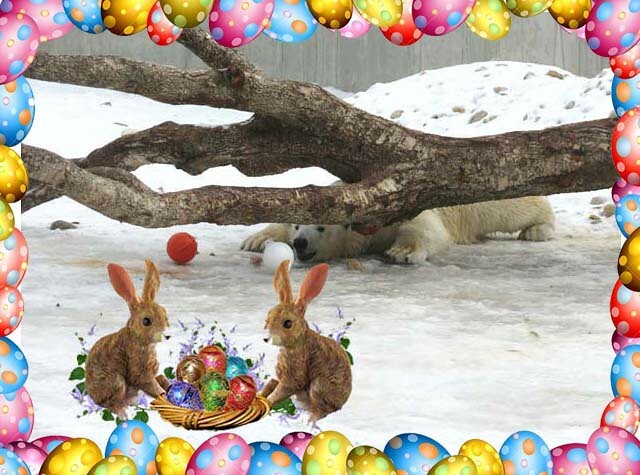 Hunting eggs under the snow can be quite funny, too! Aron in Tallinn had cute visitors and it looks like he has already found a treasure. 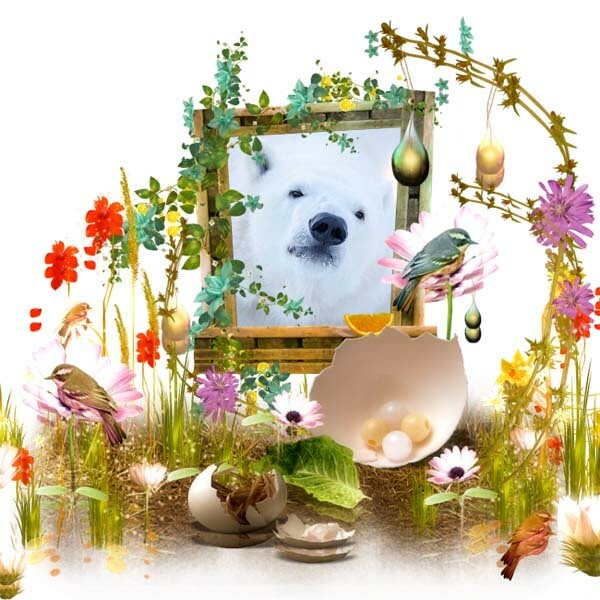 Hope sent snowy Easter greetings to Antibes. Gerda and Kai are happy together and send you greetings from Russia with love. 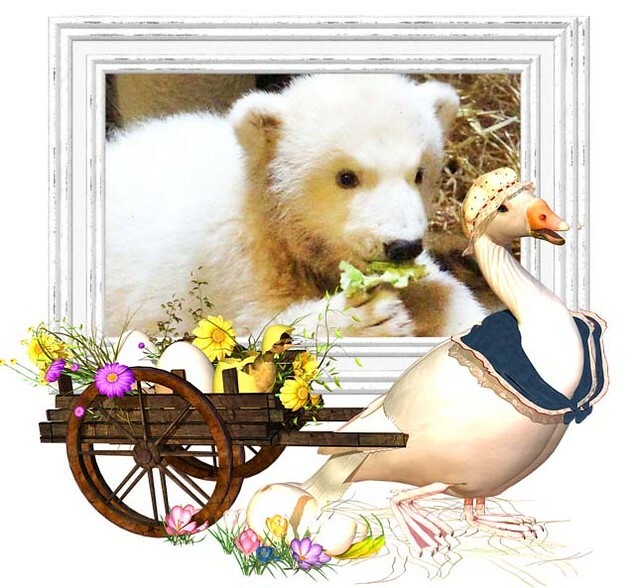 ... and I'm sure even Sisu's card to her made her very cheerful and happy! In Ranua you can't only see the northern lights in the sky. 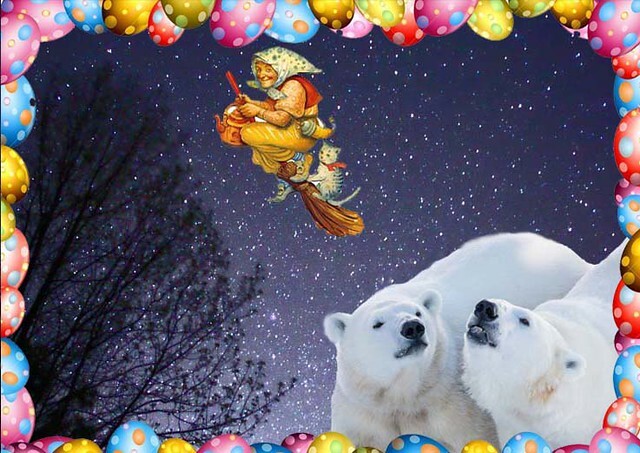 With any luck you can see an Easter witch flying to the Blue Mountain (in Finnish: Kyöpelinvuori). 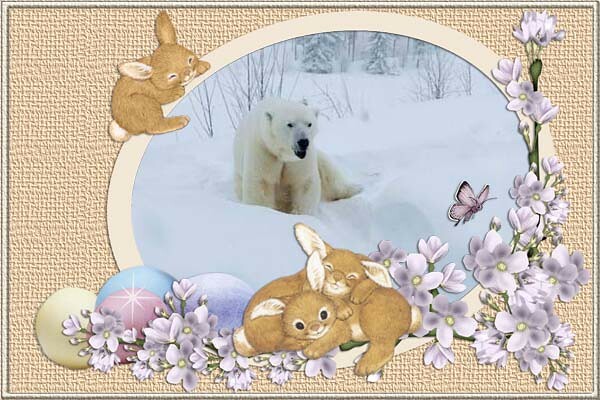 I have received very nice cards from the youngest members of our polar bear family. 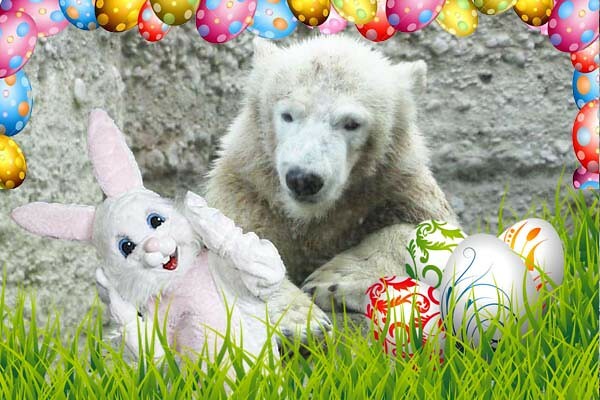 This is Zefirka's baby having fun with the Easter surprise. Thank you very much. How nice are your pictures. So sweet. 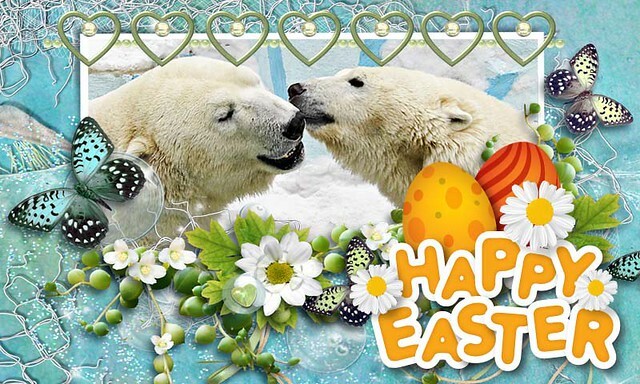 I also wish you and Vesa happy easter! @Mervi , auch für Dich und Vesa schöne Ostern. Ich liebe Deine Osterkarten. die Ostercollagen sind wunderschön. Ganz lieben Dank dafür. Wie Aron in Tallinn unter dem Stamm durchguckt, das finde ich ganz besonder niedlich. Liebe Mervi, ich finde Deine Bären-Collagen auch wunderschön .